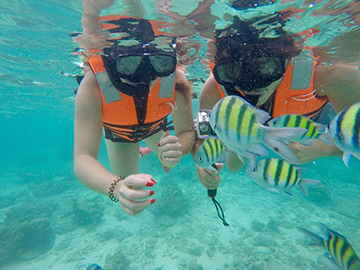 Phi Phi Bamboo Maiton Island Tour by Luxury Speed Boat Tour is a must do tour on any visit to Phuket this is one of the most comprehensive Tours to the Phi phi Islands and very high quality trip. You have opportunity to visit the less commecial Northern parts of Phi Phi Island including the magnificient Bamboo Island with it golden sandy beach, and crystal clear waters ideal for snorkelling You have lunch in a beautiful beachfront restaurant and have opportunity to visit the many highlights of Phi Phi Island including the famous Maya Bay where they made the movie The Beach, and monkey beach where you can feed the wild monkeys, also visiting the spectacular bays and coves of Loh Samah Bay and Maiton Island . 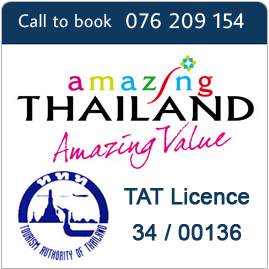 * Open : Every day Except " Sunday"
09:00 Depart by Exclusive Speed Boat from pier to Phi Phi Islands. 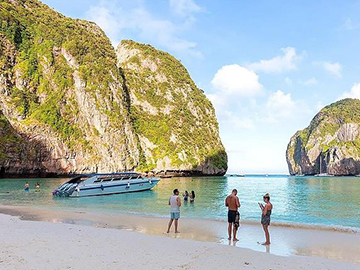 * Discover " Maya Bay " world famous from the movie " The Beach" starring Leonardo Dicaprio, Sunbath on the beautiful white sand beach fringed with dramatic limestones peaks or roam jungle paths among chattering birds into Loh Samah Bay. 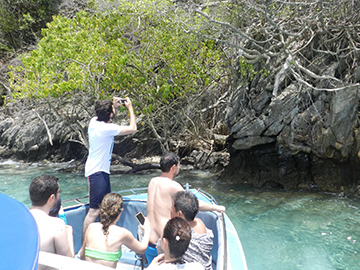 * Be awed as we slowly cruise too Pile Cove and sightseeing from the boat otherwise known as the "Emerald Lagoon" abd bext exokire "Viking Cave" "Monkey Beach" offers other highlight, and you may even have a chance for a monkey selfie. 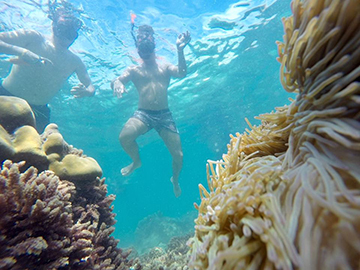 Great snorkeling and exiting experience over the stunning coral reef. 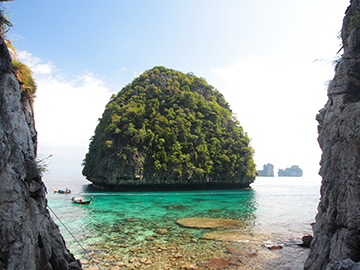 Enjoy a sea view buffet lunch served at phi phi Don Island. 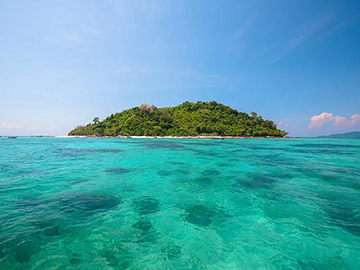 * Relax at "Bamboo Island" where you can sunbath again on the white sand beach or snorkel ever the coral reef and spot a variey of sea life. 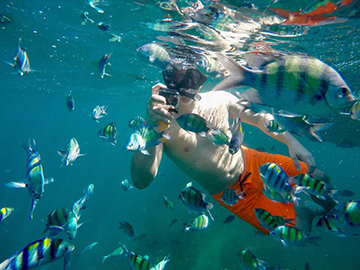 *Maithon Island : where you can snorkeling in crystal clear waters over the coral reef. 16:30 - 17:00 Arrival at the harbor with the safe journey and transfer back to your hotel. 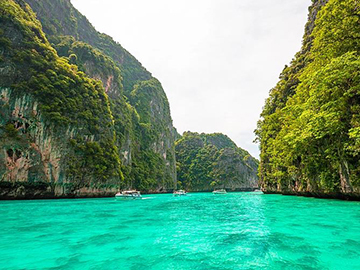 >Please Note < * Maya Bay Closure : According to the government’s policy access to Phi Phi island’s Maya Bay is prohibited by the Thai Government until further notice. * Open : Every day - Except " Sunday"